Industrial insulation contractors are a dime a dozen across the Southeast, but getting quality work is much less common. 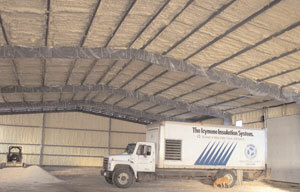 Hiring Arango Insulation, however, ensures that you’ll get insulation installed correctly and quickly. The key to this efficient, skilled work is our installation technicians. Their extensive training and years of experience help them do the job efficiently without neglecting proper technique. We know this is especially important on an industrial jobsite, where a strict construction timeline is in place and any hold up can cost money. We take our commitment to quality one step further by using the most respected brands of insulation in the business, including Owens Corning, Icynene, Johns Manville, and more. This selection allows us to provide you with insulation optimally suited to your building and climate, which means lower utility bills. If you’re interested in hiring one of the best industrial insulation contractors in the business, call or e-mail Arango today. Also inquire about our expert commercial roofing services. We’re happy to serve you in Georgia, Alabama, Texas, Virginia, and anywhere in between.